Knabe Baby Grand Piano, mahogany. Just refinished and rebuilt. New hammers, pins, strings, dampers, re-gilded plate, new key tops. Just refinsihed. Ready to go. This piano is going to make somebody very happy. All of our pianos come with a WARRANTY. We automatically regulate all of our actions, fix and align anything that needs it. 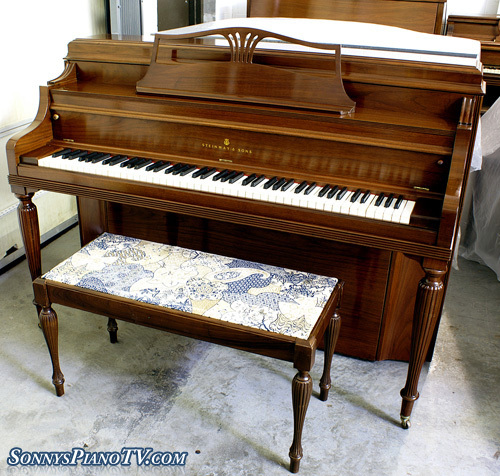 We French polish or refinish every piano so when you purchase from us the piano is ready to go into your living room as a beautiful furniture piece and will play perfectly and last indefinitely. We take the worry out of purchasing a piano. Queations? Call 631 475-8046. Steinway Console Piano 42″ Walnut made in 1948. One owner, played recreationally. Action just regulated, hammers just shaped and voiced, case just received a French Polish (several coats of padding lacquer applied by hand to even out sheen and make grain and wood come alive)Rich, robust Steinway tone. Even, responsive action. Free LI/NYC delivery. All else continental USA only $475. 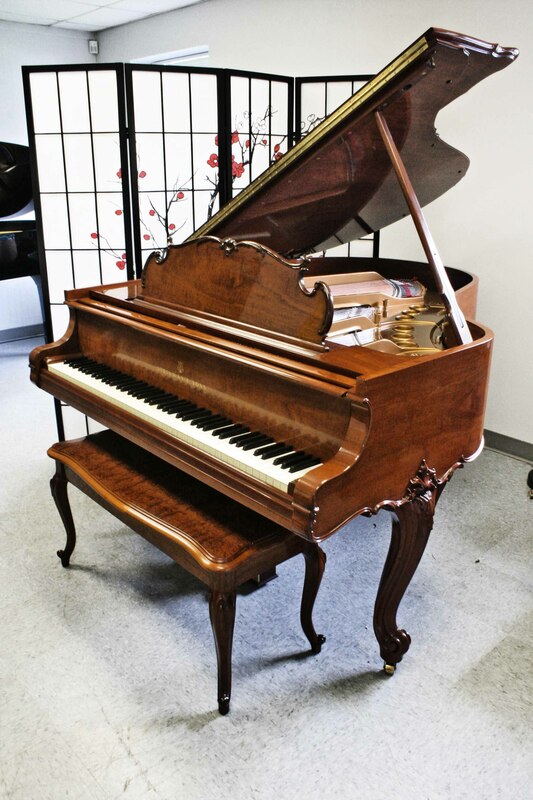 Magnificent Yamaha C5 6’7″ Grand Piano, one owner piano, excellent inside and out. Made in 1984. Low mileage. Our furniture people and technicans just went over it, and she is ready to go. Very much in demand piano, highly recommended and sought after. Questions? Call Sonny Direct 631 475-8046. Located in our Holbrook Long Island Warehouse. Free LI/NYC delivery. All else continental USA only $475. re-crowned soundboard, new strings, dampers, bushings, key tops, bridge caps. Incredible rich sublime Steinway tone. call for further information. This one is a winner. Free LI/NYC delivery, all else continental USA only $475. Warranty. Questions? Call Sonny 631 4785-8046.